This cottage home is perched on the edge of one of New Hampshire’s most beautiful lakes in Wolfeboro, New Hampshire. Within walking distance of downtown, this Wolfeboro home looks easterly across Lake Winnipesaukee on a gently rolling site that allows for a lakeside walk-out lower level. 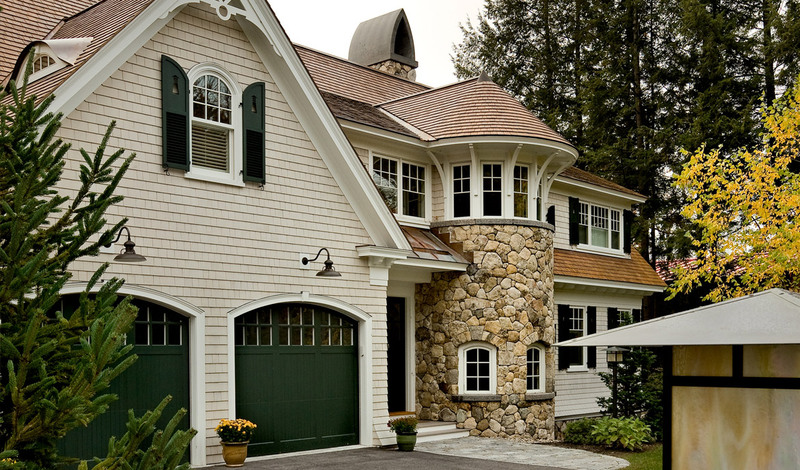 The house sits on a New Hampshire fieldstone base with the entire back of the home opening out toward toward panoramic views of the lake. Generous use of windows and exterior decks allow the homeowners to access the small beach, fire pit and dock at the water’s edge. The home fits seamlessly into its natural surroundings by leaving intact as much of the natural vegetation as possible and supplementing the grounds with indigenous landscape plantings. Granite fieldstone walls lead down to the protected beach. The New Hampshire fieldstone foundation is carried into the interior fireplace in the great room which extends vertically through the center of the home, capturing sunlight from clerestory windows and flooding the interior of the house with sunshine as the sun moves around the house. 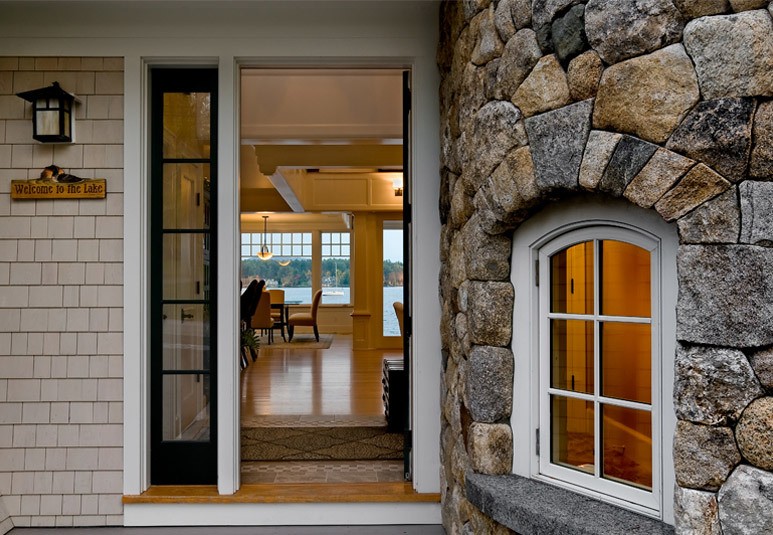 The cottage scale is evidenced by the small panes in the transom windows above large picture windows which allow for unobstructed views to the yard and lake beyond. 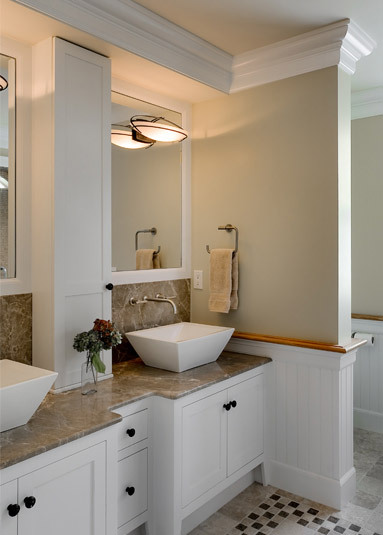 Decorated in a casually elegant style, the interior feel is warm, relaxed and inviting. The exterior character of the house is meticulously detailed using wood columns, pilasters, brackets, deep thick window sills, wood shutters, deep fascias and projected rake and roof moldings. 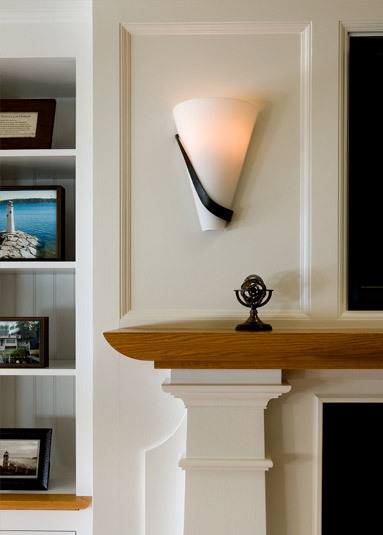 All of the details harken back to the historic heritage of fine craftsmanship of many of the early lakefront homes. 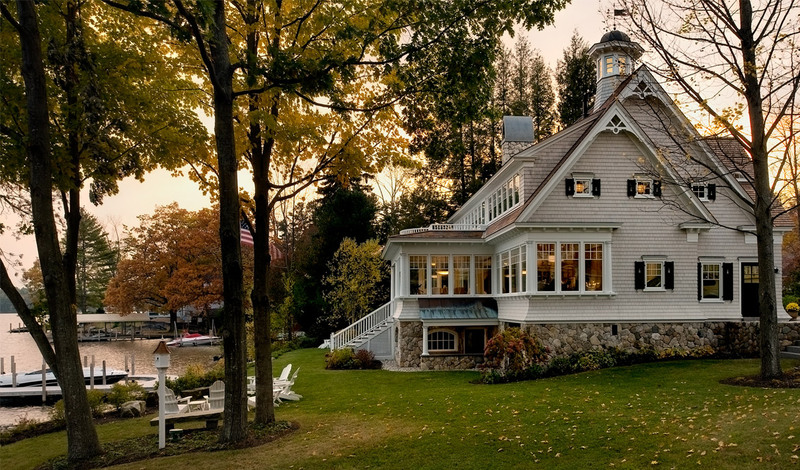 With all the modern technologies and innovative construction techniques, the home still respects its historic heritage which is synonymous with Lake Winnipesaukee’s historic past.